This is a very special US Show bronze flower sculpture based upon the general release of Belle Fleur in a worldwide limited edition size of just 15 ! 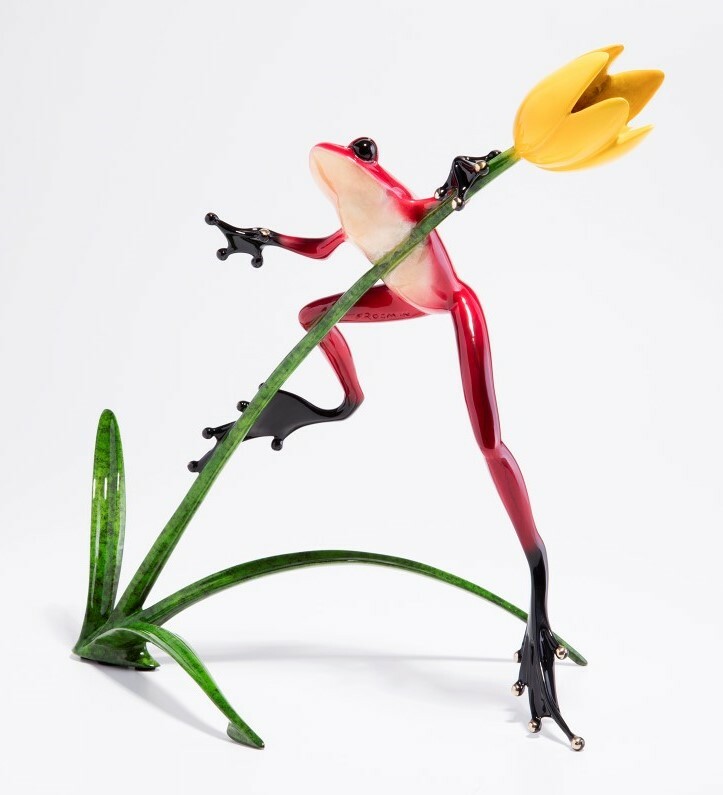 A beautiful sculpture with a gorgeous red frog, green leaves and yellow tulip lile flower in classic style by Tim Cotterill. This entry was posted in Flower Sculpture and tagged tim cotterill by Bronze Frogs. Bookmark the permalink.